The time is nigh for Povetkin to put Price in his place. 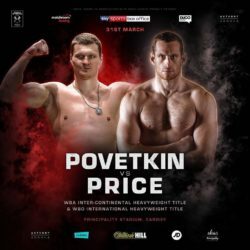 This Saturday is D-Day for David Price, with 22 – 4 and 18 KO,s as he enters the ring for his make-or-break bout with Alexander Povetkin, at 33 – 1 and 23 KOs. The fight is set to take place at Cardiff, Wales’ Principality Stadium. 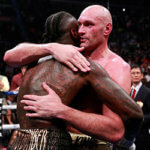 Price, at only 34-years old, has youth and size on his side, and packs a punching power advantage over the 38-year old Povetkin -but that’s about it! 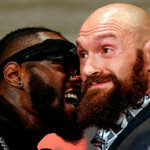 There is a lot of money in it for Price if he manages to beat Povetkin: a big win could see him have a title shot against Anthony Joshua in 2018. Eddie Hearn, Joshua’s promoter, is more than likely to pick Price up as quickly as he can, due to his shortened shelf life as a fighter. Price is being given next to zero chances of winning against Povetkin, however. The proof that the Povetkin team believe that he’s guaranteed a win is in that they took the fight in the first place! Povetkin has put an assured title shot against WBA/IBF heavyweight champion Anthony Joshua on the line thanks to this bout. 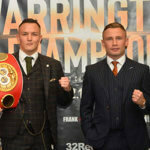 There is no way that he would risk a fight like the one set for Saturday night if he felt he was facing a fighter that there was any chance of losing to, like Luis Ortiz, or even Dillian Whyte. Price is simply not being seen as a serious threat, and there’s only himself to blame. He hasn’t bothered to keep his conditioning at top-notch -but we will all have to wait and see what Saturday brings.